Dr. Nazia Ahmed graduated from Bryn Mawr College with a Bachelor of Arts in Biology and minor in Art History. Prior to pursuing dentistry she researched at the University of Pennsylvania and contributed in publishing a research paper on AML Leukemia. After shadowing local dentists, Dr. Ahmed applied and was admitted to the prestigious Columbia University, College of Dental Medicine in New York City. She then completed further post graduate training in Advanced Education in General Dentistry, also at Columbia University. 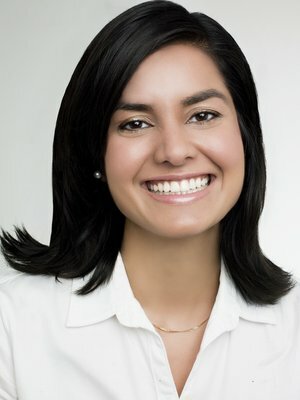 Since graduating, Dr. Ahmed has been providing comprehensive dentistry. She is strongly commited to continuing education. In 2012, she became a Fellow in the Academy of General Dentisty. This recognition represents over 500 hours of post-doctoral education as well as the successful completion of a written exam given by the Academy. Dr. Ahmed believes in preventative, meticulous, friendly dental care. She looks forward to being your dentist!